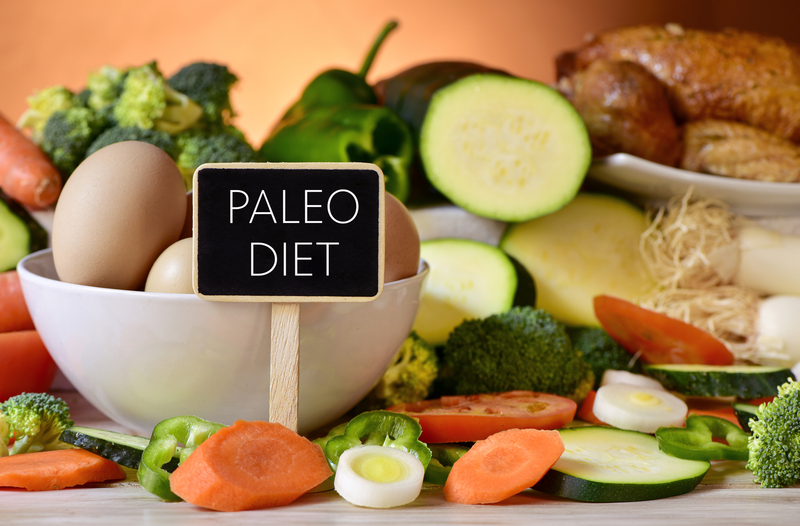 The Paleo Diet – commonly known as the Caveman Diet – traces back millions of years to the era of early humans. After a recent comeback, it’s considered a common fad in current diet culture. The basic premise: we should eat how we’ve been biologically and genetically programmed. If our ancestors thrived on the food they hunted and gathered – high fat, animal protein, seafood and vegetables, for instance – we should too. And since they weren’t subject to today’s more diverse options – processed food, grains, carbohydrates, dairy products, salt, vegetable oil and refined sugar (among others) – then we should avoid those food groups as well. 1). Low to moderate carbohydrate intake. Hidden danger: Paleo calls for the exclusion of cereal grains – wheat, rye, barley, oats, corn and brown rice, to name a few. These are great sources of fiber, B vitamins, iron, magnesium and selenium. Grains help our bodies control blood sugar, lower cholesterol and fight the risk of chronic diseases. Consistent low carbohydrate intake may lead to an overuse of fat for energy, also known as ketosis. Ketosis occurs when by-products of fat breakdown, called ketones, build up in the bloodstream. High levels of ketones can lead to dehydration and eventually coma due to severe metabolic abnormalities. Furthermore, following a low to moderate carbohydrate diet can make exercise a physical battle for those following the Paleo diet. During aerobic exercise (longer exercises such as running, biking, swimming and walking), our bodies use carbohydrates for fuel. Without adequate carbohydrates in the diet, our body turns to both body fat and muscle for energy. This results in the breaking down of muscle mass, which is known to increase our metabolism and help us burn more calories per day. Feelings of physical fatigue and exhaustion, throughout the day and during exercise, can be signs of muscle breakdown. Hidden danger: Dairy restriction can lead to deficiencies in calcium and vitamin D, which are critical to bone health. Hidden danger: Consuming the Paleo Diet-recommended amount of saturated fats can increase the risk of kidney and heart disease, as well as certain cancers. Hidden danger: Past and current research suggests that a heightened level of high fat meat and saturated fat can increase LDL (bad cholesterol) and the risk of bowel cancer. Per the American Heart Association, an adult should consume a total of ~13 grams of saturated fat per day. On a Paleo diet, saturated fat intake can approach upwards of 50 grams per day. Hidden danger: A one-size-fits-all “best diet” approach does not work and can be problematic to most individuals, especially those prone to black and white / all-or-nothing thinking. Categorizing foods into “good” and “bad” can lead to feelings of guilt, shame and low self-worth when the “rules” of a diet are broken. In the end, eating like our ancestors isn’t required to live a healthy lifestyle; in fact, it could even cause adverse effects (as clearly shown above). While those living millions of years ago may have gotten by on this diet, evolution has altered our genetic makeup and how we digest food. If you are interested in changing your eating habits, what’s most important is making sure your health background and nutritional requirements are considered. A professional dietitian can help to ensure the most appropriate plan for you and your unique lifestyle. Bridget Hastings Komosky MS, RD, CD-N is a Registered Dietitian Nutritionist. She completed her Bachelor of Science degree in Nutrition at Ithaca College and her Master of Science degree in Clinical Nutrition at New York University. She completed her dietetic internship at NewYork-Presbyterian Hospital in New York, NY. 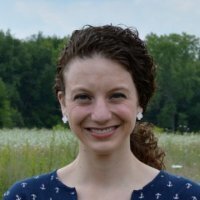 Her work in eating disorders includes a six month fellowship at NewYork- Presbyterian Hospital and New York Psychiatric Institute, employment as a dietitian on the inpatient eating disorder unit at NewYork-Presbyterian Hospital, and now as a dietitian at Walden Behavioral Care since October 2013. Currently at Walden, Bridget works with the adult and adolescent Partial Hospitalization Programs and the Binge Eating Disorder Intensive Outpatient Program. She also has a private practice. *This blog post does not necessarily represent the views of Walden and its management. The Walden Blog is meant to represent a broad variety of opinions relating to eating disorders and their treatment. Comments are welcome, but respect for the opinions of others is encouraged. Thank you for this article and for sharing your knowledge. I’m totally with you on the ‘one size fits all’ misnomer. Unfortunately I fell for it a few months ago during a period of poor health and a visit to a nutritionist. Plus must have eaten more red meat in 2/3 months than I have in my whole adult life. Yuk! Thankfully I’m back to eating foods that I love, although am battling with sugar addiction – I resolve to best it for good one day! Hi Louise, thank you for sharing your experience. While we are sure that many people have benefited in varying ways from this style of eating , for a lot of people, it is a hard “diet” to sustain and can actually lead to more health complications. We wish you continued success on your journey. I know it’s anecdotal, but every single person I know who’s on the Paleo looks really unhealthy. Also, two people I know who are on it were former anorexics. I suspect that, at least for them, it’s a form of an eating disorder. I don’t think it’s healthy to eat tons of meat, saturated fat and no grains. And agree about the one-size-fits all-ness of this diet. Not a fan of Paleo.